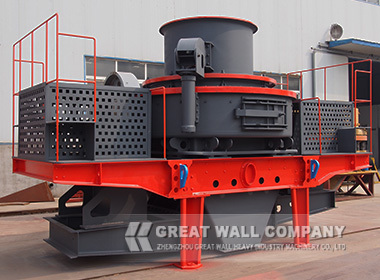 Sand Making Machine is a kind of sand maker,which is widely used for fine crushing and coarse grinding in mining, rocks, fireproof materials, glass raw material and metallurgy residues. Sand maker is mainly used for manufacturing artificial sand and stone materials ,VSI impact crusher is an important sand making plant. 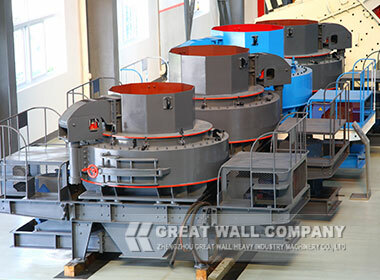 Due to the faster and faster social development, natural sand cannot satisfy the production requirement any longer, and more and more sand needs to be produced with sand making machine. When sand making machine works, Entire Center Feeding: Materials fall into the hopper of VSI sand making machine, then get into the high speed rotating wheelie through center feeding hole. Materials are speed up rapidly in the wheelie, the speed can be dozens of times of gravity acceleration, then shoot out at high speed and hit against the materials falling free after being rebounded, then they are all impacted to the liner layer of materials to strike against each other, or to the counterattack board to be bounded oblique upward to the top of the eddy current cavity, then change their heading , deflect and move downward, then strike against the materials shot out from the impeller passage , which forms continuous material flow. 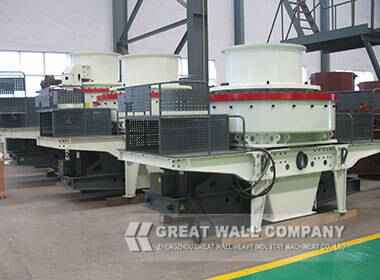 So the materials are hit, rubbed and grinded for two or more times in the eddy current crushing cavity. 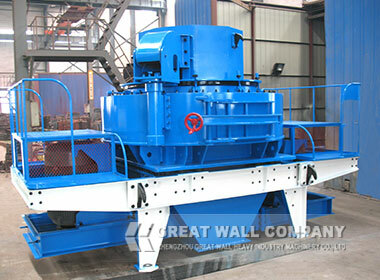 The crushed materials are discharged from the lower outlet.